“The food and drinks sector is now taking the largest proportion of monthly spending for the Vietnamese, around 35 per cent,” Pham Thanh Kien, director of HCM City Industry and Trade Department, was quoted as saying in the Sai Gon Giai Phong (Liberated Sài Gòn) newspaper. Multinational retailers like Circle K, 7-Eleven, B’s mart, Family Mart, MiniStop, Big C, Aeon and Lotte now have a total of 3,000 convenience stores, 300 trade centres and supermarkets in Viet Nam. 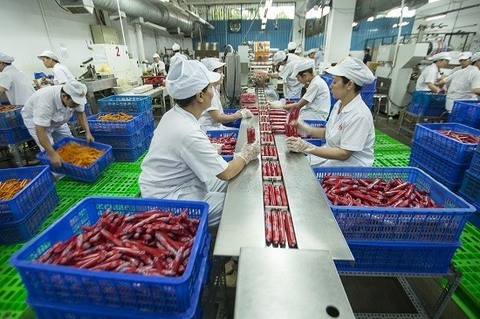 “This also means more competitive pressure for the domestic food processing and drink manufacturers,” Ly Kim Chi, chairwoman of the HCM City Food and Foodstuff Association, said. Currently, 98 per cent of domestic manufacturers are small and medium with limited financial resources and poor competitiveness. “To compete on the home ground, domestic enterprises must increase their production capability, quality and packaging to meet international standards,” Huynh Thanh Dien from HCM City’s University of Economics, said.